The most accurate refractometer in the world is now even more stylish, smart, and functional. Featuring intuitive touch screen technology, the new RX-i series makes navigation and selection a breeze. The RX-5000i-Plus measures with the same accuracy level as the RX-5000α-Plus - ±0.010% Brix and ±0.00002 nD. The RX-i series come with newly added functions, such as USB flash drive and self-diagnosis capability. This product comes standard with a two (2) year limited warranty against manufacturer’s defects from the date of the original purchase. This warranty does not cover or apply to the touchscreen. The warranty period can be extended to three (3) years if the product is registered with ATAGO. Mode MODE-1: Displays the measurement value once the sample reaches the target temperature. MODE-2: Measures refractive index and temperature at fixed intervals and displays the estimated measurement value at the target temperature. MODE-3: The thermo-module can be turn off. Without temperature control, the measurement value is displayed in 4 seconds after the START key is pressed. best price generic cialis 20 mg bu.yc.ialis.on.l.ine. 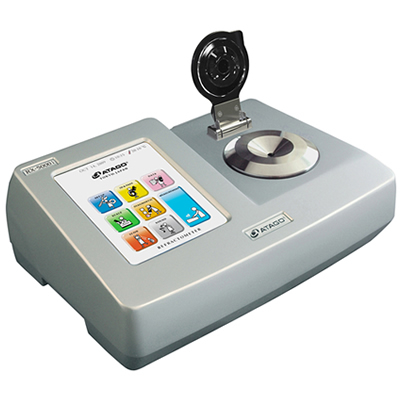 Klik tombol di bawah untuk menambahkan Automatic Digital Refractometer RX-5000i-Plus ke Daftar Keinginan Anda.